In all lines of business and companies where surface treatment plays a roll the removal of material is daily business. Here, the blasting or sandblast technology offer efficient, reliable and economic solutions. Whether in the field of glass treatment, natural or artificial stone on in the plastic or metal industry – everywhere, where an economical optimisation resp. 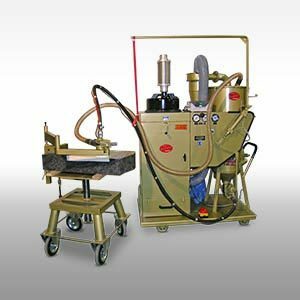 finishing of surfaces of components and products is required, the know how, blasting units and abrasives made of Goldmann are in demand. For questions, detailed information and individual advice about removal resp. removal of material please contact us.